Kearney has overcome a calf injury to take position at full-back pushing Jordan Larmour to the bench. There is also recall for O'Brien, who was dropped for the game against France replacing Josh van der Flier with the latter ruled out with a groin injury. Munster forward Tadhg Beirne will make his Six Nations debut taking the place of injured Iain Henderson while Jack Carty will provide covert to Johnny Sexton from the bench with Joey Carbery sidelined with a hamstring injury. This will also be the final Six Nations appearance for Rory Best and Ireland will be hoping to give him a perfect send-off. "He probably would have liked to have had a bit more game time leading into it but it's just a case of slotting people in," said Schmidt. "That's been a really positive challenge for us throughout the Six Nations, to still try to get some cohesion. "I think he knows these players pretty well. He's played pretty often against the second rows. He knows his Scarlets team-mates very well. "With that combination I do think he's as ready as we can get him to be at this stage. And I know he's incredibly motivated to be as ready as he can be." For Ireland to win the Six Nations title, they need to beat Wales in the final round and hope for England to lose to Scotland at Twickenham Stadium. 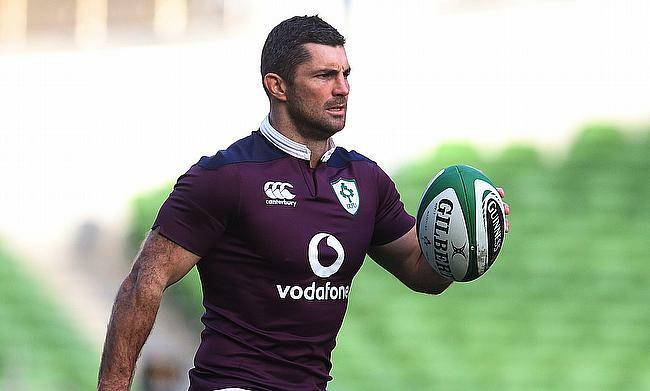 Ireland: 15 Rob Kearney, 14 Keith Earls, 13 Garry Ringrose, 12 Bundee Aki, 11 Jacob Stockdale, 10 Johnny Sexton, 9 Conor Murray; 1 Cian Healy, 2 Rory Best (c), 3 Tadhg Furlong, 4 Tadhg Beirne, 5 James Ryan, 6 Peter O'Mahony, 7 Sean O'Brien, 8 CJ Stander. Replacements: 16 Niall Scannell, 17 Dave Kilcoyne, 18 Andrew Porter, 19 Quinn Roux, 20 Jack Conan, 21 Kieran Marmion, 22 Jack Carty, 23 Jordan Larmour.